The photographs on this page are all courtesy of Mark Mamros, unless noted. He writes, "My grandparents came from Czechoslovakia and my grandfather worked in the coal mine in Clymer, PA and later in Leechburg, PA. Many immigrants from Czechoslovakia were drawn to the Avella area because it reminded them of the Carpathian Mountains in the Old Country." 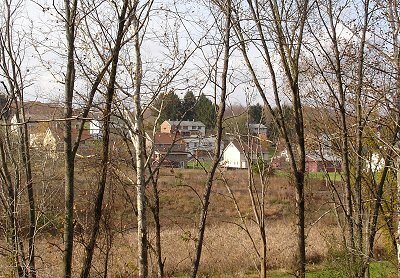 Avella is a small town in western Washington County, Pennsylvania, near the border with West virginia. 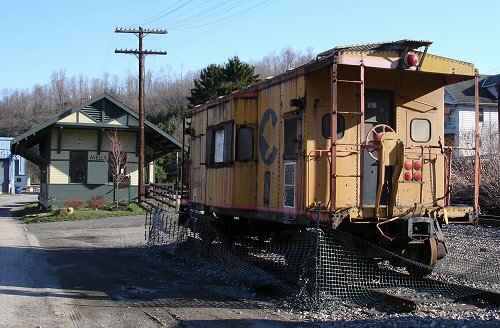 It was once surrounded by many coal mines, such as Seldom Seen (aka Old Blocks Mine), Penobscot, Waverly (aka New Blocks Mine), Penowa, Jefferson, Aurora, Pryor, Station, Malinoski, Hosack; and mines at Studa and Cliftonville, WV. Another view of coal company houses from the Aurora Mine. 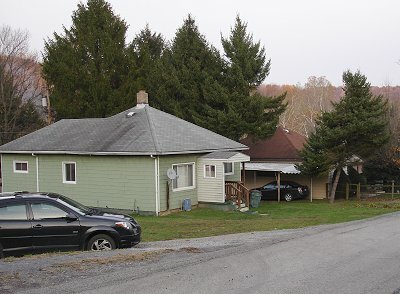 This style of house was more common in the Central Appalachian coalfields than in Western PA.
One of the slate dumps that is left over from the Aurora Mine. 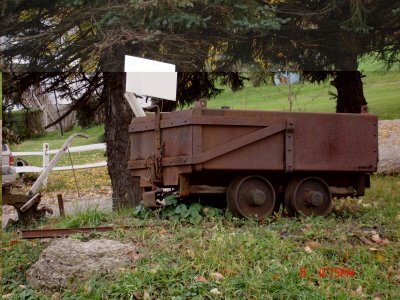 A vintage coal car in a yard at the Aurora patch. 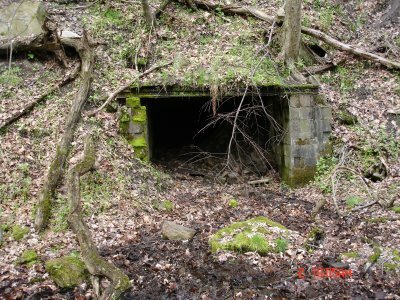 This portal from the Malinoski Mine is still in existence. 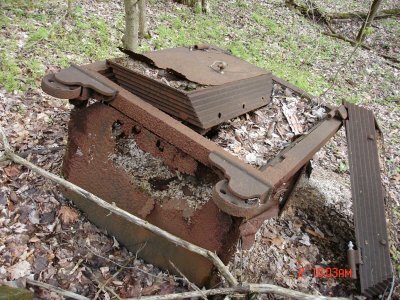 Also the Malinoski Mine paymaster's safe is still sitting in the woods. 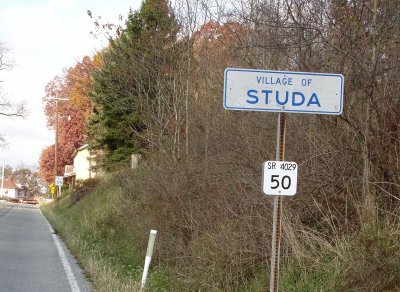 Large patch housing at Studa, PA. 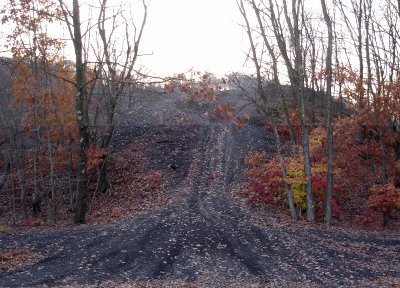 The Studa mine was operated by the Washington County Coal Co. Looking through the trees at the Studa patch. A remnant of the Studa slate dump. 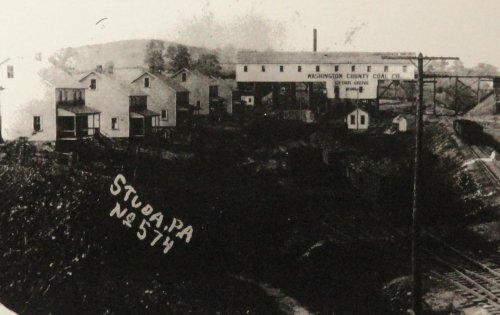 A vintage view of the Studa tipple and part of the coal company houses. 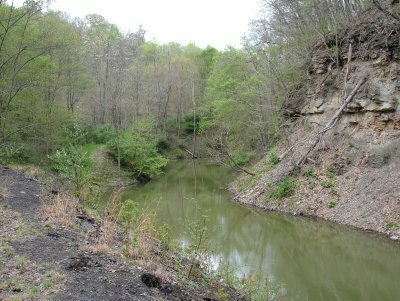 A lake made by a strip mine near Avella. 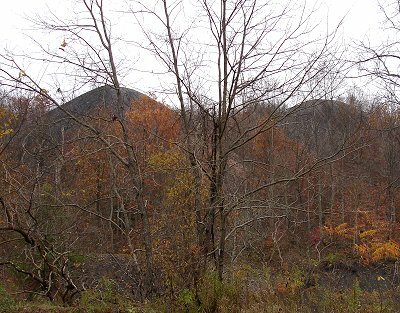 Looking through Autumn foliage at the slate dump near P&W Patch. 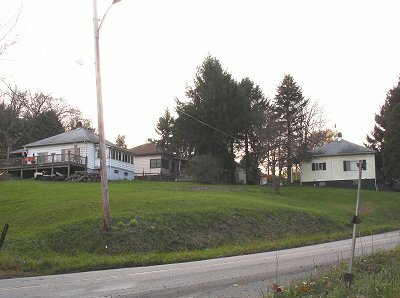 The non-coal-company-built neighborhood of Avella Heights. 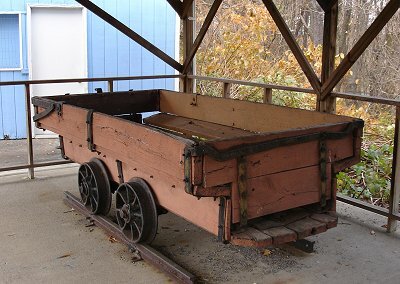 A coal car on display at Avella Heights. 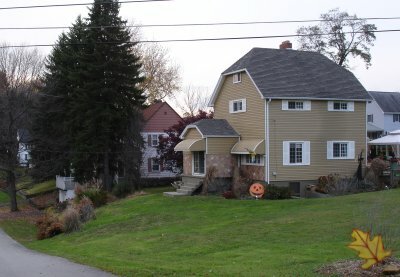 This is a picture of the Cedar Grove Inn, about which Mark writes, "Cedar Grove, next to Studa, is where homeless people slept out in the rain, and a local farmer took pity on them and built a boarding house for them." Mark also adds, "Also, of interest is that Avella was the frontier in the 1760's and the state line between Virginia and Pennsylvania had not yet be drawn. Therefore, these states sent no protection from the local Indians. The settler families had to fort up on their own. There were a chain of 30-40 forts in western Washington County built by these families to survive. The exact location of these forts was accurately documented in Doddrige's Notes and were found by a retired attorney John DeMay who wrote about this in his book, 'Settler's Forts of Western Pennsylvania.'" 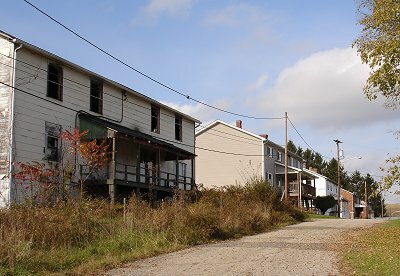 He is the oldest of five kids in a family which exists in the soft-coal town of Avella, Pa. The family eats and wears relief donations exclusively. It hasn't any money with which to leave town. The only work is in the mines and Eugene's father is blacklisted by the coal company because he belongs to the National Miners' Union. 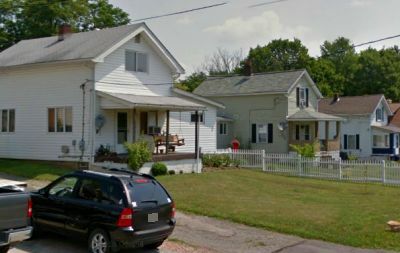 Avella is a "company town," where you live in company shacks, get paid in company "script," buy everything at company stores, rely on company doctors at a dollar a visit. There are no toys in Avella and no movies. Once upon a time its miners were paid 70 cents to a dollar a ton for the coal they took from the ground. "My father was a truck driver in Columbus, O., but he stayed out the day our baby was born and they told him not to come to work again," Eugene said. "My uncle told him he could get work mining. But he stopped working when they said they would just pay 40 cents a ton instead of 45. Now they pay 30 cents and the Bergerstown [probably Burgettstown] company pays 25 cents. Nearly everybody in Avella is blacklisted and can't work because they joined the union. We live in an old red house since we left the company house, but it has been condemned. Yeah, we will be warm because we get coal from the tracks when it falls off the coal cars. My father sometimes made $7 or $8 in a week but we never had any money because it was in script. Once he got 45 cents in money. They owed him $1.95 when he quit but they charged it up to something. They always cheat you if you've got cash coming. They charge 65 cents for a pound of butter. We never had any. They never had any milk. I like milk. Sometimes we had oleo. Once in a while we had some slices of pressed ham and sometimes my mother made soup. What we would usually eat was bread and jelly and black coffee for breakfast and salt side (salt fat pork) sandwiches for school lunch and salt-side and bread for dinner. "I like it better since my father isn't working. We go places on a truck and people give us money and we can buy good food. Sometimes the truck comes with good food or clothes and everybody goes and meets it and gets things. And the state gives us milk at school. We get more canned stuff and canned peaches. And meat and oleo oftener. If you get to weigh a pound more than you should at school they don't give you any more milk. Bunches of the men used to go cut and work for a week for the farmers and they would get sheep and other stuff for it. When my father started going to union meetings I went, too. My father and I went to Pittsburgh and passed coin cans for the miners. One day I got 80 cents and my father got nothing. Once I got $2 ..."
History of coal mining. History of Pennsylvania. History of Greene County Pennsylvania. History of Fayette County Pennsylvania. History of Westmoreland County Pennsylvania. History of Washington County Pennsylvania. History of Allegheny County Pennsylvania. History of Pittsburgh. Pittsburgh Coal Seam. Historic Pictures. Historic Photographs. Historic books. Historic Maps. Pittsburgh history publications. History. Pennsylvania Polish immigrants. Pennsylvania Slovak immigrants. Pennsylvania Italian immigrants. Pittsburgh immigrants. Pittsburgh polka music. Pennsylvania polka music. Pittsburgh culture. Pittsburgh foot. 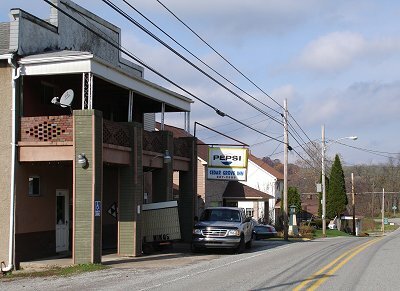 Pennsylvania pieroige. Historic architecture. Historic buildings. Historic towns. Organized labor. Unions. United Mine workers. Archives. Monongahela River. Allegheny River. River tourism. Pittsburgh tourism.